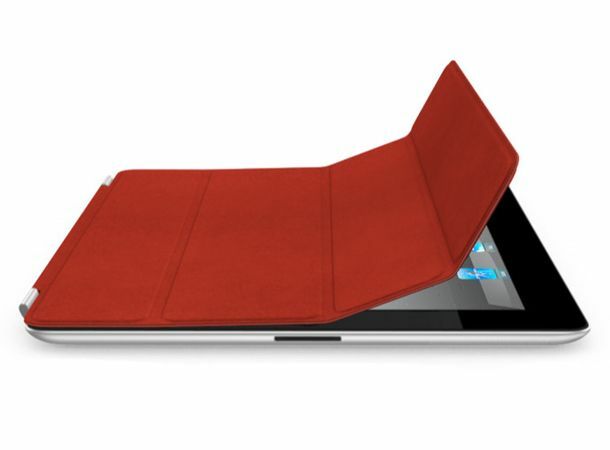 Apple's Smart Cover does more than just protect and prop up the iPad 2. The polyurethane or leather covers for the Apple iPad 2 also double up as a kind of instant-on switch for the device, according to the New York Times. Lifting one side of the cover open, like a book jacket, instantly wakes the device from sleep, doing away with having to press a button and then drag your finger along the unlock bar. "It's such an elegant solution" former Gingko Design president Scott Yu told the NYT. The Smart Covers were announced by Steve Jobs alongside the official iPad 2 unveiling on March 2nd. Using magnets, they attach to the new iPad and when closed protect the glass from scratches, but can be opened and folded in on themselves to create a stand for hands-free iPad viewing or easier typing. Although UK Apple fans still have a couple of weeks to wait before their trip to the Apple Store, the iPad 2 went on sale in the US today with record-breaking, round-the-block queues and several Apple Stores running out of stock. You can see what we made of Apple's new über-tablet in our hands on review, below. Already bought your iPad 2? Check out our video of ten things to do the moment you get it home.